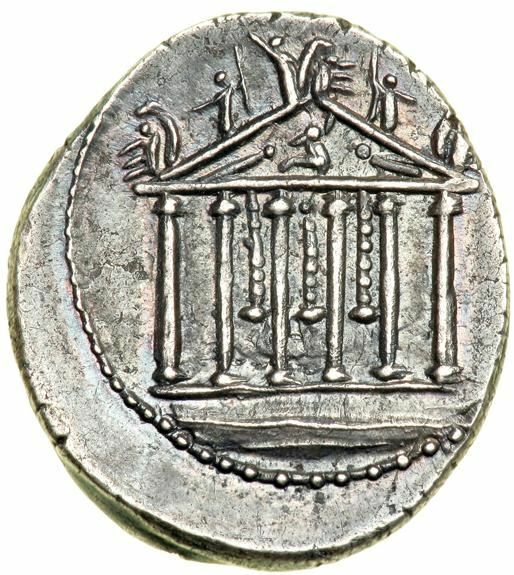 Petillius Capitolinus was one of the moneyers for the year 43 BC. He is not otherwise known. Gens Petillia or Petilia was a plebeian family at ancient Rome. Members of this gens first appear in history at the beginning of the second century BC, and the first to obtain the consulship was Quintus Petillius Spurinus in 176 BC. The nomen is almost certainly derived from the cognomen Petilus, meaning "slender", and belongs to a class of gentilicia formed using the typically diminutive suffixes -illius and -ellius. The name is regularly confused with that of the Poetelii, an older plebeian family that occurs from the time of the Decemvirs down to the period of the Samnite Wars, but they do not appear to have been the same.